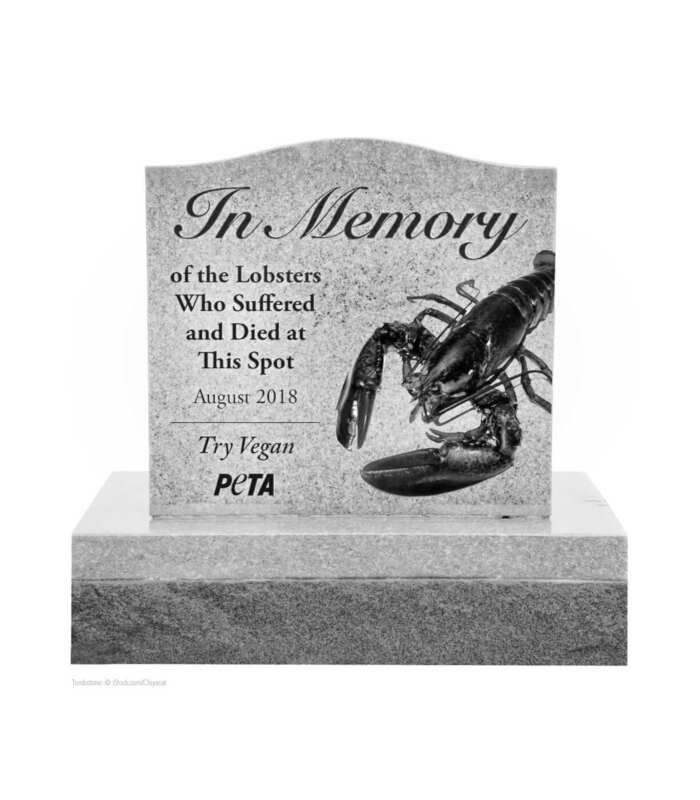 The five-foot-tall grave would have been engraved with the phrase "In Memory of the Lobsters Who Suffered and Died at This Spot." In the FAQ section on its website, People for the Ethical Treatment of Animals uses 225 words to answer the question “Why does PETA use controversial tactics?,” when really just 15 would do. “We try to make our actions colorful and controversial, thereby grabbing headlines around the world,” the organization says, insisting that, since it has no real advertising, it relies on the media to spread its animal-loving message. Well, here we are, writing about PETA’s latest cruelty-free thirst trap. Last week, a Cozy Harbor Seafood truck carrying 7,000 pounds of live lobster overturned on Route 1 in Brunswick, Maine, scattering 60 to 70 crates across the highway. The Portland Press-Herald estimated that 4,500 lobsters were killed in the crash—but it also sort of shrugged and reminded Mainers that the state harvested 110 million pounds of lobster last year. "I'm not cruel to animals but that goes way too far [...] We don't even put monuments up for people who die,” Maine resident Janie Roy told WGME. "What's the difference between them falling on the road and dying, or being thrown in boil hot water? We eat them every single day, [and] either way, they're dead lobsters." Ohhh, Janie, Janie, Janie. PETA is pissed about that too. Earlier this summer, they bought $3,000 worth of ads at the Portland International Jetport, urging visitors who were probably there for the Maine Lobster Festival not to attend the Maine Lobster Festival. Honestly, we can’t decide if PETA needs to keep that section of its FAQ or not. We’re on to you, People.